Lighting is an essential part of our modern society, and is employed in all buildings and construction projects. A well designed and well managed lighting system reduces energy consumption, saves maintenance costs, reduces risk of injury and loss, improves security of people and facilities, and contributes to increased productivity of workers. Proper lighting serves both the public and private portions of our economy, and in appropriate applications can add drama and beauty to natural and man-made environments. The LC credential is a minimum multi-disciplinary qualification distinguishing practitioners in the specialized field of illumination. It is open to individuals who practice within the field of lighting who have met the qualifications of education, experience and knowledge demonstrated by examination. Qualifications of the Lighting Practitioner. Lighting design shall be performed or supervised by a practitioner credentialed as Lighting Certified (LC) by the National Council on Qualifications for the Lighting Professions (NCQLP). (Section 6.8 Interior Lighting, Daylighting, and Control Systems, p. 189). The LC credential is current, credible, and accessible. Current lighting practices are represented in each administration of the exam, and LC professionals are required to recertify every three years to insure their knowledge of lighting application and technology is current. The NCQLP also recognizes credentialing standards by constructing an examination that reflects the knowledge and skills required for competent practice. The examination is based on published knowledge, and is administered by an independent and industry wide board and testing agency. The LC credential is accessible to all potential candidates across the industry (e.g., designers, engineers, contractors, distributors, manufacturer representatives). Eligibility requires a bachelorís degree in a related field and 3 years experience, or six years of lighting experience. 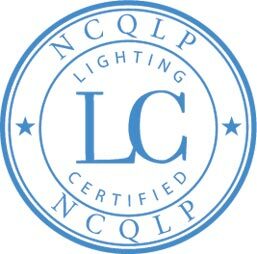 The LC credential was developed and is regulated by the NCQLP and member organizations within the lighting, design, and government energy regulation fields. The National Council on Qualifications for the Lighting Professions, Inc. (NCQLP) is an independent, non-profit certifying board. NCQLP contracts Applied Measurement Professionals, Inc. (AMP), a professional testing agency, to assist in the development, administration, scoring, and analysis of the NCQLP examination.